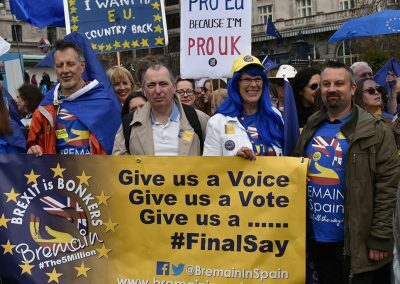 On Saturday 23 March, I was privileged to join the ‘Put it to the People’ March in London, alongside over 100 of our Bremain in Spain members. 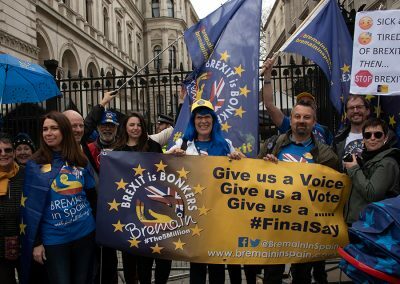 Campaigning for a ‘People’s Vote’ has always been a priority for Bremain, so this wasn’t the first time we’d voted with our feet, but it was our biggest ever marching contingent. 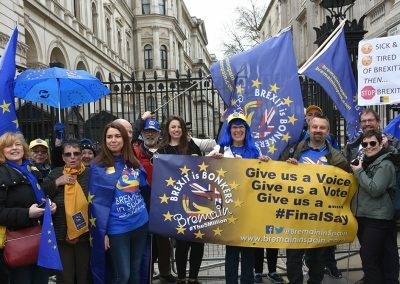 The timing of the march was critical, coming just six days before the scheduled Brexit date of 29 March, which has now been postponed. Expectations ran high that numbers would exceed the 700,000 who marched in October. 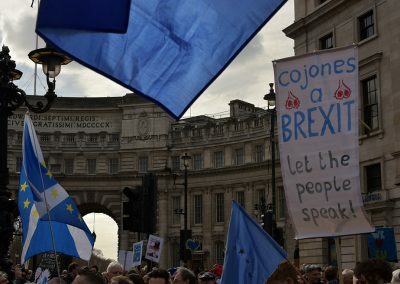 The organisers were not disappointed, with numbers confirmed at well over one million people. 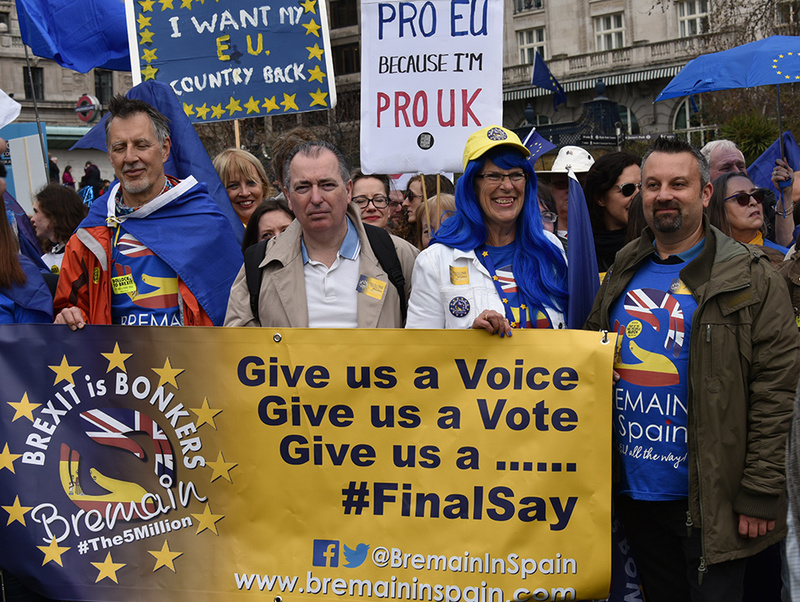 Bremain in Spain marched with other campaign groups: Brexpats Hear our Voice, In Limbo Project and Espanoles de Reino Unido – a group of Spanish citizens based in the UK. We were also joined by a Spanish TV crew that was filming a documentary called ‘30 minutes’, scheduled for broadcast on TV3 in April. Many excellent speakers – including First Minister for Scotland, Nicola Sturgeon, London Mayor Sadiq Khan, deputy Labour leader, Tom Watson and Lord Michael Heseltine – gave passionate speeches about the shocking state of Brexit, and the urgent need for another referendum. This is now the only democratic and sensible option left to extract Britain from the Brexit impasse. 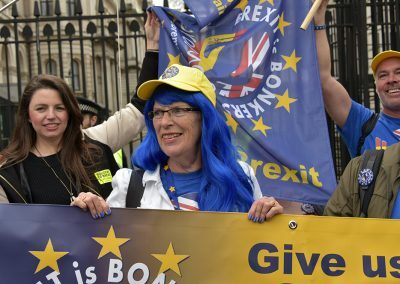 Since Theresa May gave her widely derided speech on Wednesday evening, pitting the public against parliament and laying the blame for the failure of Brexit at the feet of MPs, there has been a noticeable change in mood. Both the public and parliament have reacted rather differently from how May might have hoped or expected, by expressing widespread outrage. 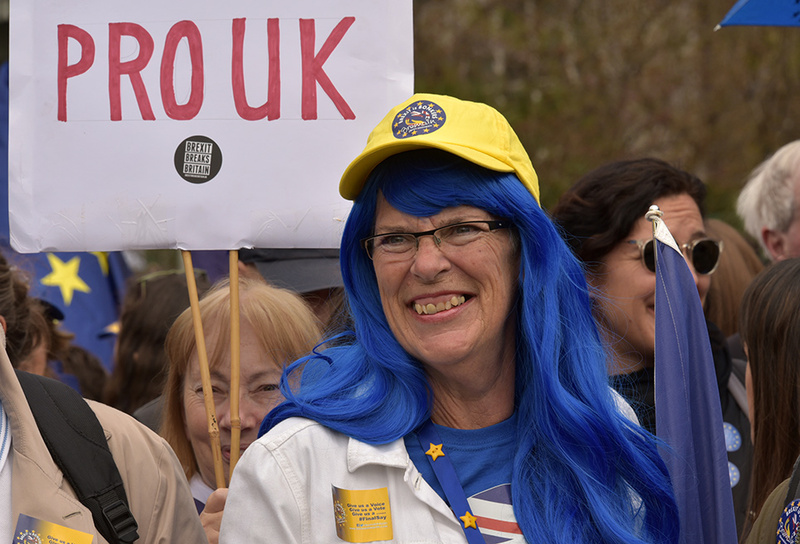 Most notably, the public has been signing a new petition, ‘Revoke Article 50 and remain in the EU’ (https://petition.parliament.uk/petitions/241584), literally with millions of signatures, making it the largest petition in British history. It seems that we Remainers are making history all over the place at present! 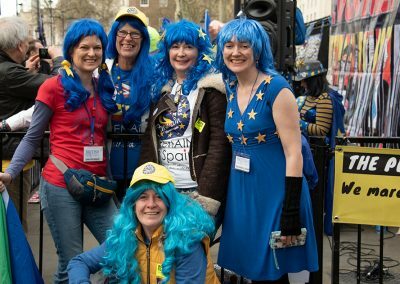 The march itself was peaceful, fun, full of humour, hope and inspiration. 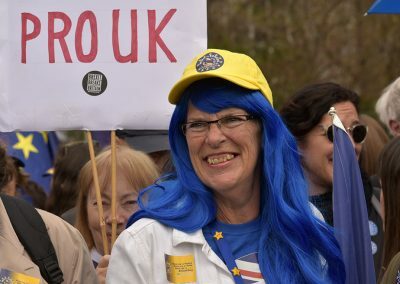 The inventiveness of the banners and the costumes was a sight to behold, and I was in good company in my blue wig! Following events on the main stage in Parliament Square, the No. 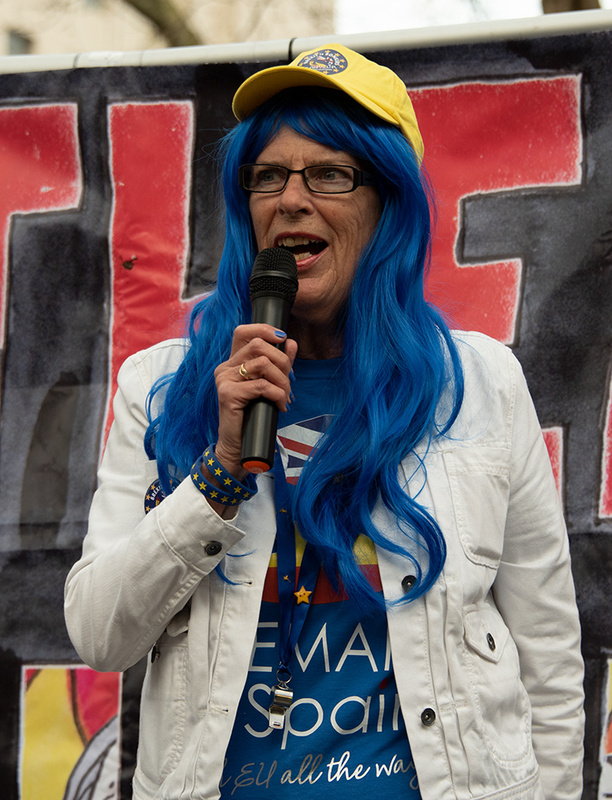 10 Vigil hosted its own event opposite Downing Street at its usual, thrice-weekly venue. 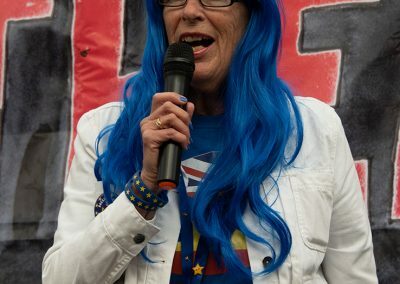 I was invited to make a speech on behalf of the five million UK-in-EU and EU-in-UK citizens, and directed much of my speech directly at Theresa May. I reminded the crowd how the British citizens in the EU have been ignored and side-lined since June 2016 – out of sight and out of mind. How our rights and freedoms have been threatened, and how the only way to guarantee their preservation is to revoke Article 50 and cancel Brexit. 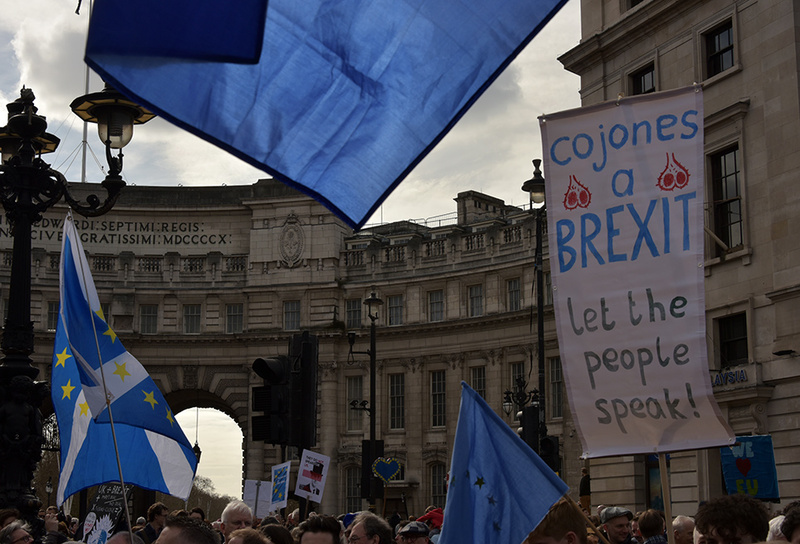 Westminster or, indeed, in Brussels, and the appeal of putting the Brexit issue back to the public will only continue to grow. This week, parliament will debate alternatives to Theresa May’s unpopular deal, with the aim of reaching consensus. 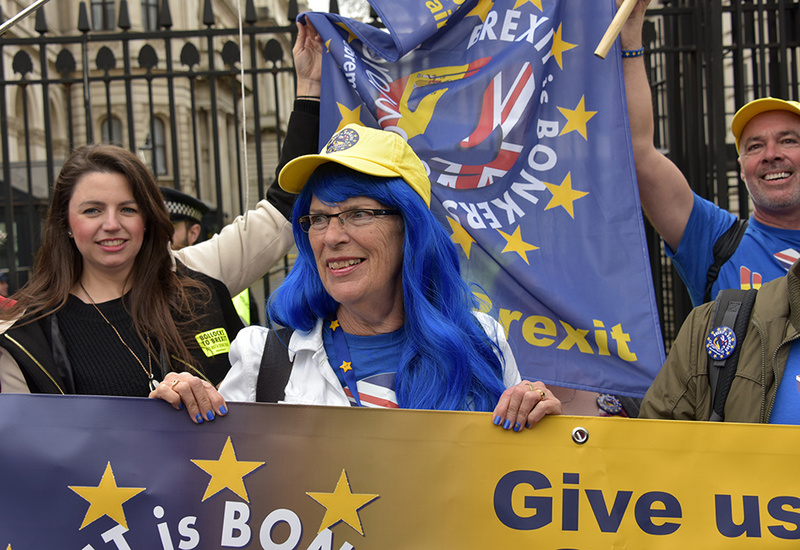 With Remain MPs committed to averting a no-deal Brexit, and extreme Brexiters equally determined to prevent any softening of Brexit, it’s difficult to see what other option might achieve a majority. Putting the decision back to the people could be the only option that stands any chance of being supported by both sides. 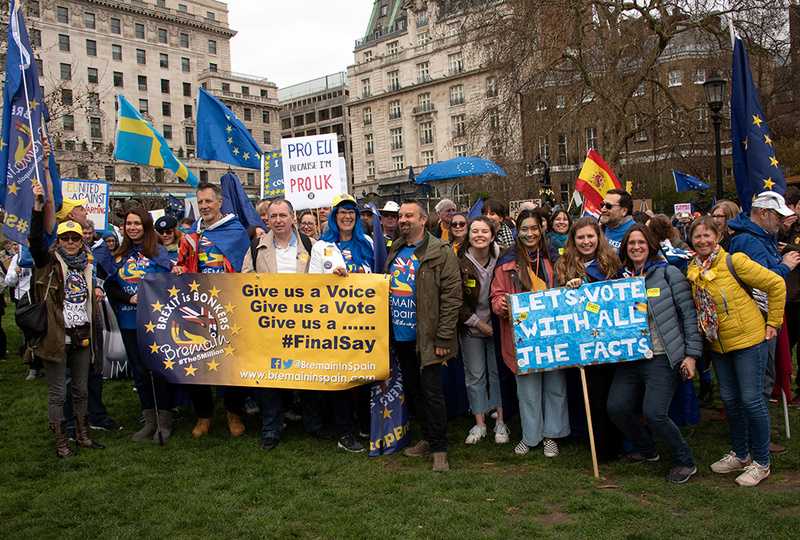 It was always the intention of the People’s Vote campaign to not push too hard or too soon in parliament for another referendum, in the hope of ruling out other options first. A People’s Vote referendum needs to be the ‘last man standing’, so the timing has always been crucial. 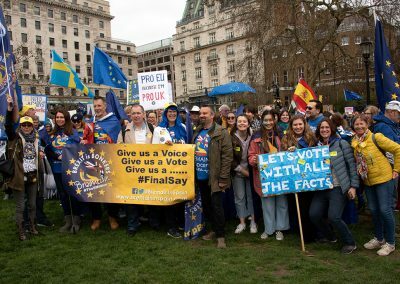 Whether all campaigners agree with that approach is questionable, but nobody can argue about the success of the march or the wide media coverage achieved on Saturday. For those taking part, the march was a chance to feel part of something historic and significant – a huge shot in everyone’s arm that made us even more determined to do everything we can to further the battle. 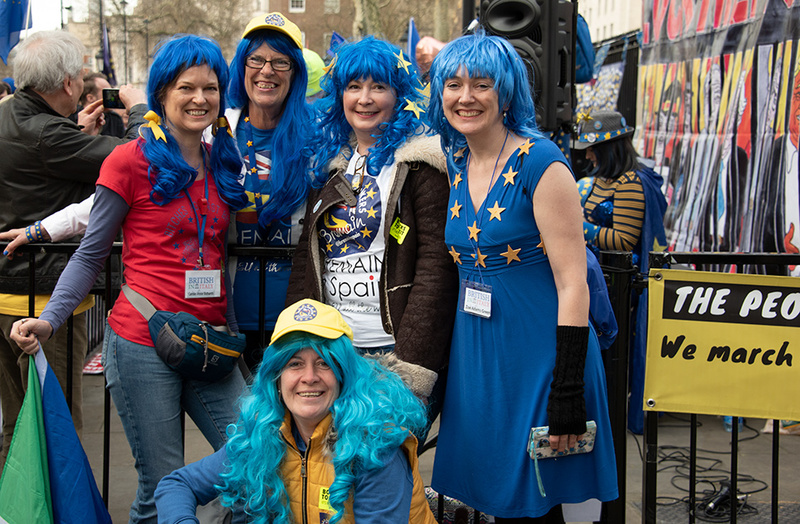 For me personally, it was a fantastic opportunity to meet friends old and new, to put faces to names, and to be moved by the passion and eloquence of speakers and marchers alike. 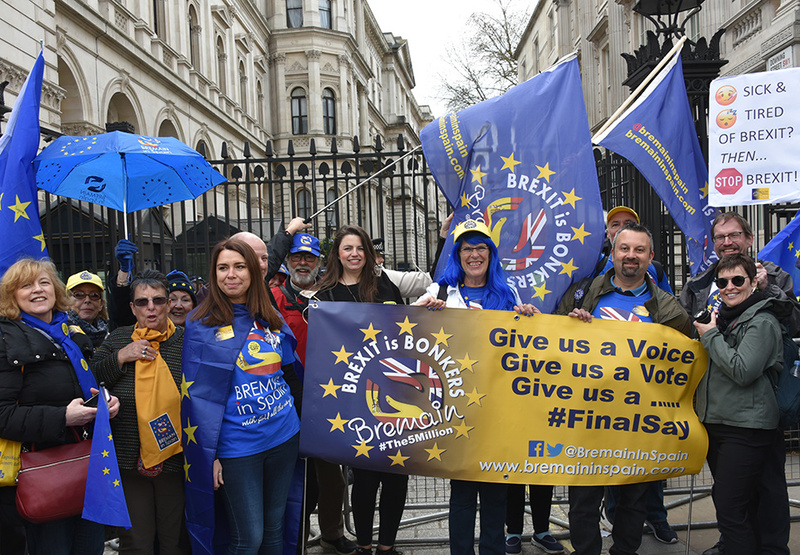 We are closer than ever to another referendum but, as I said in my speech, “we should not think of it as a second referendum, but as a first referendum based on the facts – a referendum that is fair, honest and legal”. 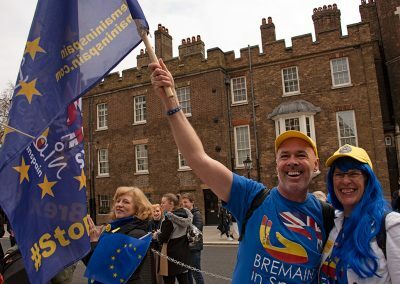 The UK is not leaving the EU on Friday March 29 – but wouldn’t that be a great day for May to make her exit! We want a final say!